Back in March of 2015, I wrote a blog post proclaiming that I would “literally eat the sun” if this AeroMobil flying car was released by 2017. Well, today, the company announced a new flying car that will be on display later this month. But I’m not grabbing my knife and fork just yet. 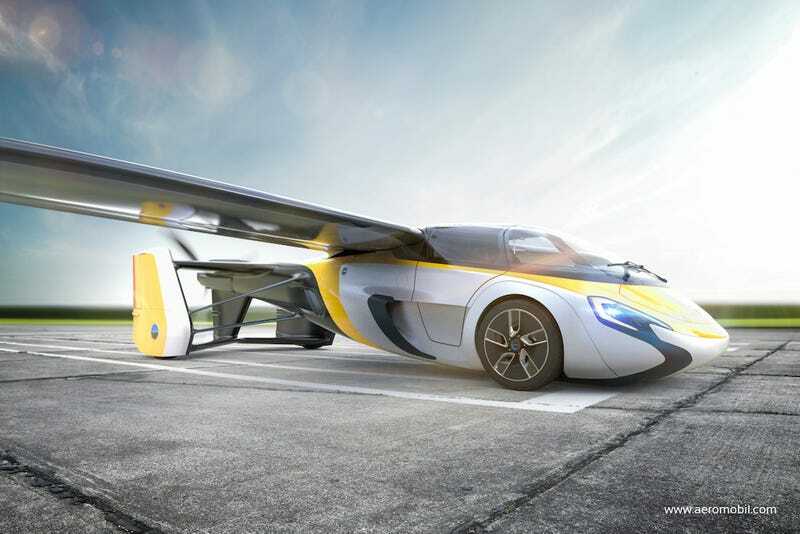 Flying car companies are an interesting racket. They’ll often build a prototype to entice investors and “pre-orders” from consumers, claiming that their vehicle will be ready for sale in a short while—usually two years. So when AeroMobil announced in 2015 that the company would be releasing its flying car by 2017, I pledged to literally eat the sun if it came out. We’re now roughly a quarter of the way through the year, and AeroMobil hasn’t released its car to consumers. But the company has made some shiny new renders of their latest version. The new AeroMobil flying car will reportedly be on display at the Top Marques Monaco on April 20, 2017. And it looks sleek as hell. But consumers won’t be able to buy one just yet. Ah, yes, pre-orders. Those things that flying car companies make available and have continued to push off indefinitely for a century or so. It would appear that AeroMobil is now smart enough not to claim that they’re “just two years away,” but showing off your car for pre-orders isn’t the same thing as bringing a flying car to market. I think my stomach is safe for now.